Excellent choice for finish sanding primers and clears! 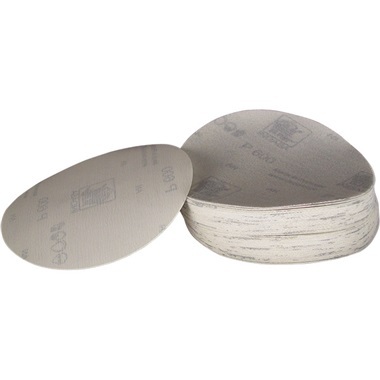 Film-backed hook & loop sanding discs can be used wet or dry. Film backing improves flexibility while remaining more durable. High-efficiency aluminum oxide grit offers a more even finish than conventional paper.